The V Collection has developed a unique diffuser for the V12 Vanquish. Its design is reminiscent of the diffuser found on the new Aston Martin One-77, and incorporatesseveral vertical carbon fiber blades, the existing exhaust tips and rear reflectors. 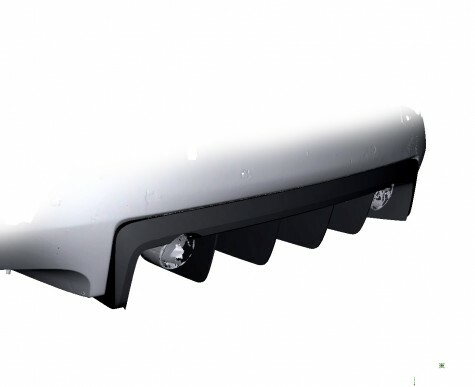 The V4 rear diffuser is a substantial part and gives the rear of the Vanquish a more purposeful look and wide stance.